We offer a range of workshops and resources to support Early Career Researchers to develop new skills and practice or to refresh approaches to research and related activities. We have grouped these workshops so that it is easier to find what you're looking for. We've also matched them to the four domains of Vitae's Researcher Development Framework. 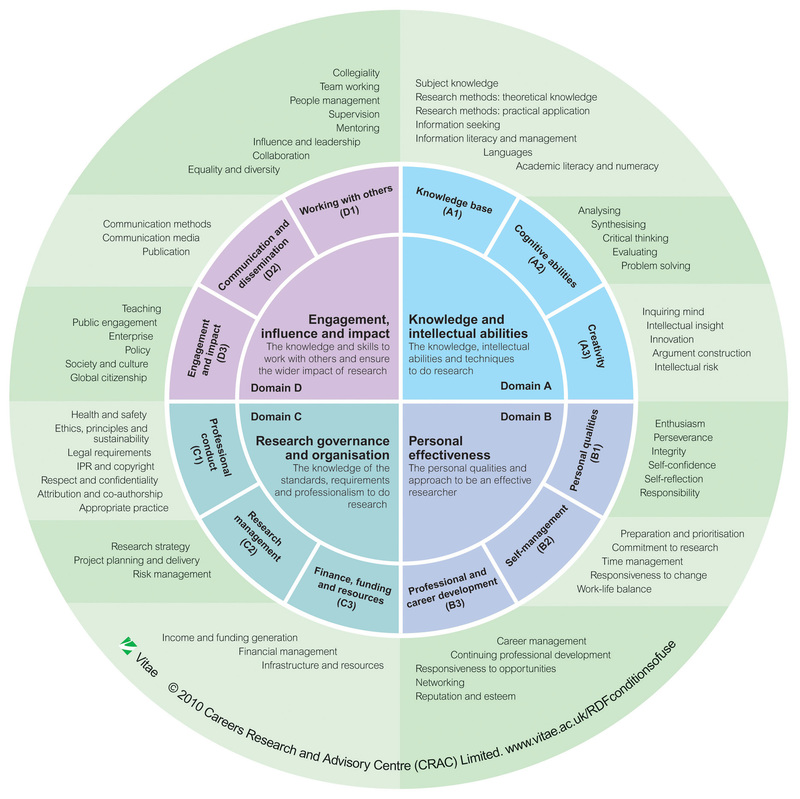 The framework describes the knowledge, behaviour and attributes of successful researchers and is a useful tool for you to use when planning your personal continual professional development. Please follow the links below for more information about the workshops and to book your place. Download a 2018 - 2019 Bristol Clear Training Sessions (PDF, 646kB) grouped both by topic and date. Research Staff can also access a range of training from other providers within the university, including Research Enterprise Development (RED), the library, research data services, and IT services. Research integrity: What does it mean for me and my research?